Earlier this week we shared our reactions in the Justice Shed to Southern Health pleading guilty when charged by the Health and Safety Executive. We shared a couple of emails from Jane Hartley, Edward’s mum, and the invitation to Southern Health to show that they have improved. We have been asked for more information about Edward so we asked his Mum some questions and here is what she said…. The good bits: his smile; his joy for life; Edward’s favourite song was DJ Otzi’s Hey Baby – he used to have it on repeat on his karaoke machine and he’d sing along again, again and again! He loved – food, eating out from fast food to fine dining, unsurprisingly for an 18 year old he loved girls particularly blonde haired girls, fast cars, noisy engines, combine harvesters, rainbows, the colour yellow, chatter and laughter, slapstick comedy, the circus, live theatre/bands, puppets, farm animals, pet dogs Pippa and Cloughie (‘Nurse’ Pippa was called to help resolve the seizures by licking his stomach and making him laugh, bizarre but it worked and Pippa’s ashes are buried with Edward), steam trains, swimming, bubbles, walking, man-hugs with Dad and brothers; Edward’s face lit up when I collected him from anywhere making me feel the most special person around; Osborne School, Winchester, special needs school, worked for Edward, has a brilliant all inclusive music department. Edward was the Prefect for Happiness and Harmony created especially for Edward to match his strengths; Some Consultants. He died. He died of cardi-respiratory failure following an epileptic seizure in his own bed at home not witnessed by the Southern Health Carer employed to monitor Edward for seizures. The Carer had not checked Edward for two and a half hours before he checked him at just before 8 am. He found Edward blue and lifeless. The Carer could not cope, was shaking in the corner of the room and in shock. I had to phone for the ambulance and attempt CPR as to not do this isn’t an option. Edward was pronounced dead approximately an hour after he was found. Edward’s presentation had not changed from being found blue and lifeless to the declaration Life had ceased. Edward had many seizures during sleep and the support to help him self-recover was physical contact, a hand on his forehead and soothing words. For 18 years this had worked whilst we, Edward’s family, performed this role. 3) Who was responsible for Edward’s care? West Hants CCG granted Continuing Health Care for 24 hour support commissioning TQ21 (Southern Health) as Provider. 4) What has happened since Edward died? I have reviewed the Critical Incident Review Report and am appalled and distressed at the number of errors, the severity of these errors, omissions, lack of verification and blatant misrepresentation it contains. If a document was designed to add further to our grief and dismay then this has met its objective. I await your reply with how you will rectify this situation. In response West Hants CCG as Commissioners of the service were brought in to commission an independent investigation but to date this has not been agreed as satisfying the points above. Ian and I have been actively campaigning for change at Southern Health. Attending meetings, workshops, Board and AGM Meetings. Involved in the Clinical Services Strategy patient and service user input. Attended the CQC Learning from Deaths workshop and conference. Anything to promote the necessary change in culture to allow for honesty and transparency to be the accepted norm. To date we have not got anywhere close to addressing the issues raised in my email to Phil Aubrey-Harris three years ago. 5) What would you like to happen next? We are waiting for the necessary shift in culture within Southern Health to enable a joint review (ourselves and SHFT) of Edward’s care and death. Co-producing a factually honest account to ensure failings are not repeated and the second harm created by toxic behaviour to bereaved relatives ceases. 6) How can we help? We have always felt we cannot get anywhere until the culture within Southern Health changes. We know what happened as I was there and we believe this is unique in that respect. We need SHFT to realise that they are not defining an event where no other witnesses were present. The change in culture has not happened as yet. The rhetoric that they have changed cannot be demonstrated and ours is a case in point. 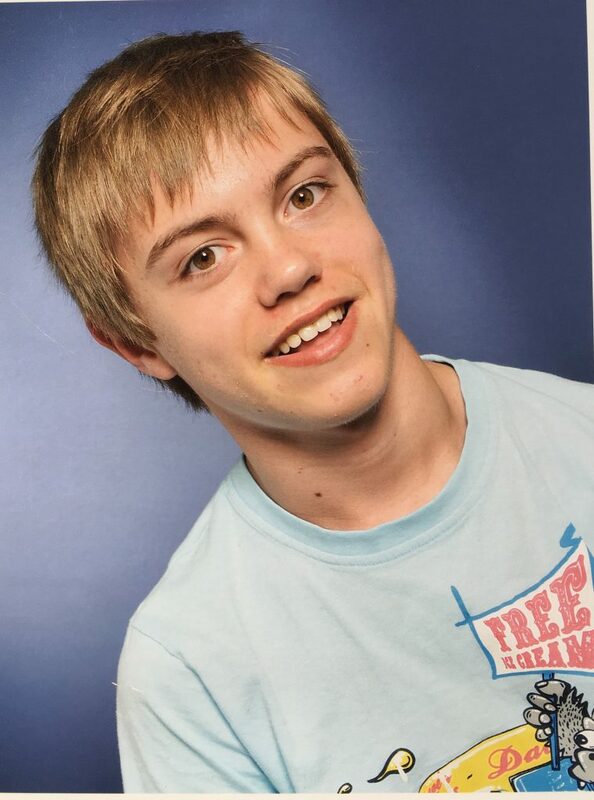 JusticeforLB keeping Edward in the spotlight will put pressure on SHFT to address the issues surrounding Edward’s care and death which will enable us to push for the wider change agenda. One of the aims of the JusticeforLB manifesto focused on Southern Health and the local authority was: Reassurance about how they will ensure this cannot happen again. Edward died in May 2014, ten months after LB. Another death swept up under the Southern Health natural causes cloak for too long. We need evidence from Southern Health that they are doing as they’ve promised, that families will now experience a more compassionate approach. We’re all waiting and watching for them to follow Edward’s lead, happiness and harmony, is that really too much to ask?